How does the KlevaKlip Snap-LOC clip work? 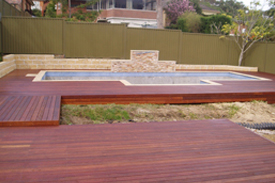 KlevaKlip is a multi-board, fixed pitch decking system that provides consistent gapping between the boards. The new Snap-Loc clips allow the boards to be snapped into the clip by the weight of someone “walking the board into the clip”. The teeth of the clip flex, allowing the board to insert into the clip, then “snap” into the groove of the board, locking it in place. Made from engineering polymer, the Snap-Loc clip is built to last the life of your deck. What type of fasteners are required to fix the clips to the joists? Timber joists use 8 gauge 25- 30mm Button Head Galvanised screws with a head size less than 2mm or Galvanised Connector Nails 32mm x 3.15. Metal joists use 10 gauge 18mm wafer Head galvanised self drilling screws with a head size less than 2mm or equivalents can also be used. Stainless steel fixings should always be used in high corrosive environments. Use counter-sunk heads if button heads are not available. How many fasteners are required per clip? The KSL140N requires two fasteners per board space (8 per clip). 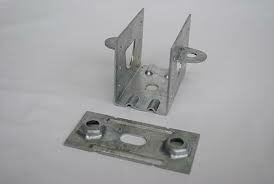 What Joist types are suitable for the KlevaKlip Snap-Loc clip? Treated Pine, Kiln dried Hardwood, Metal RHS or C Purlins are suitable for use with the KlevaKlip System For Laminated Veneer Lumber (LVL) joists please check with your supplier for suitability. 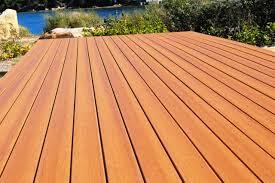 F14 unseasoned hardwoods are not to be used due to their high shrinkage rates. 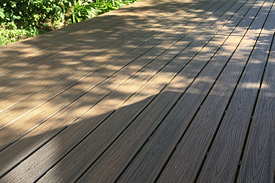 What size gap does the Snap-Loc clip provide between each of the Deck Boards? TREX Transcend or Contour Composite will provide a gap of around 6mm when using the KlevaKlip Snap-Loc clip. This gap may vary over time in different climatic conditions. What dimensions are the Snap-LOC Clips? 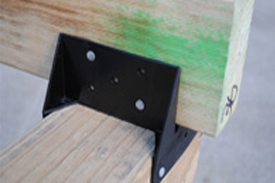 What height does the Snap-LOC clip add to the top of the joist?